Ravelin Security Consulting Ltd is a small but dynamic security consultancy established in 2011, which provides clients with access to high level consultancy services whilst avoiding the excessive charges associated with engaging companies supporting large in-house administrative structures. This business model relies upon access to the services of a diverse spectrum of individual experts and small specialised companies to provide a holistic one-stop shop for clients. Services are offered in a manner which is both cost and risk-commensurate. All Ravelin Consultants are HEAT (Hostile Environment Awareness Training) trained and are familiar and experienced with operating in regions which are challenging physically, politically and at risk from terrorist or criminal activity - such individuals are paid a premium for their services. All Consultants store all client information, reports, drawings and photographs on encrypted media using 1344-Bit Disk Encryption Software. Ravelin Consultants carry PII and PLI coverage provided by Hiscox Insurance Company Limited. 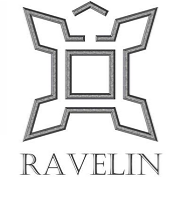 Ravelin uses a variety of business and design software packages including Microsoft Office 2010, Autodesk Building Design Suite 2014, ReluxSuite, Google SketchUp and Adobe Creative Suite 6.